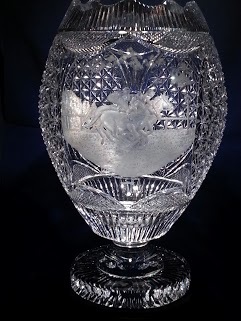 Description 14" Cut Crystal Footed Trophy with blank panel for engraving with whatever sport required. Seen here engraved for horse racing. Made to order only.